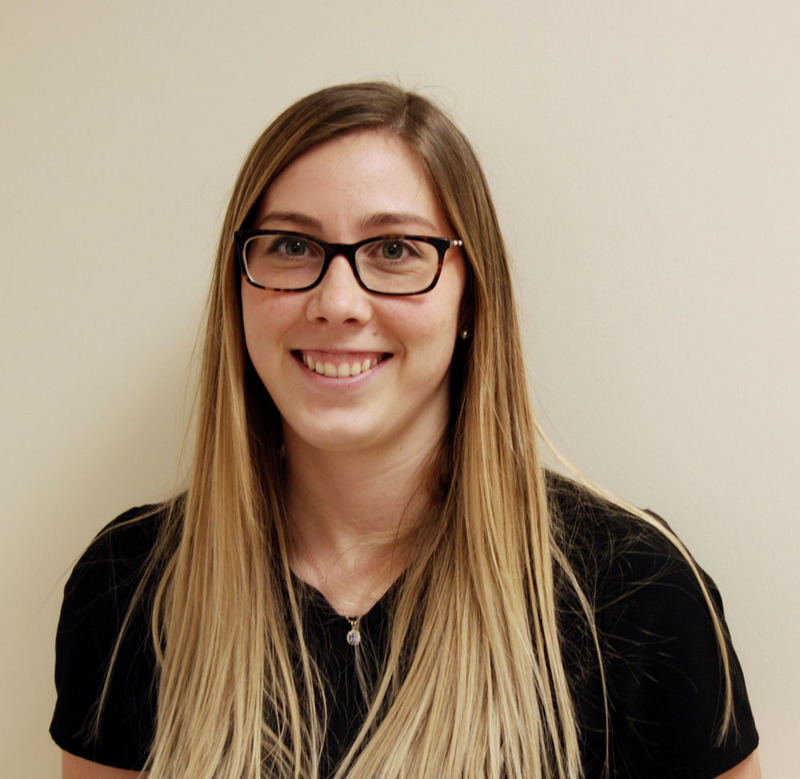 My name is Courtney and I have been working at Georgian Bay Veterinary Hospital since the first spring they were open. I originally worked here as a summer student while completing my Bachelor of Science in Biology, however working with this wonderful team made me realize that this field is my passion. In 2015 I completed the Veterinary Technician Program with Honours at Georgian College. I currently have 3 fur babies: Walter (cat), Helen (rabbit from the OSPCA) and Madeline (Lab). When I am not working I enjoy spending time with the family, hiking, boating, skiing and spending time on the farm. 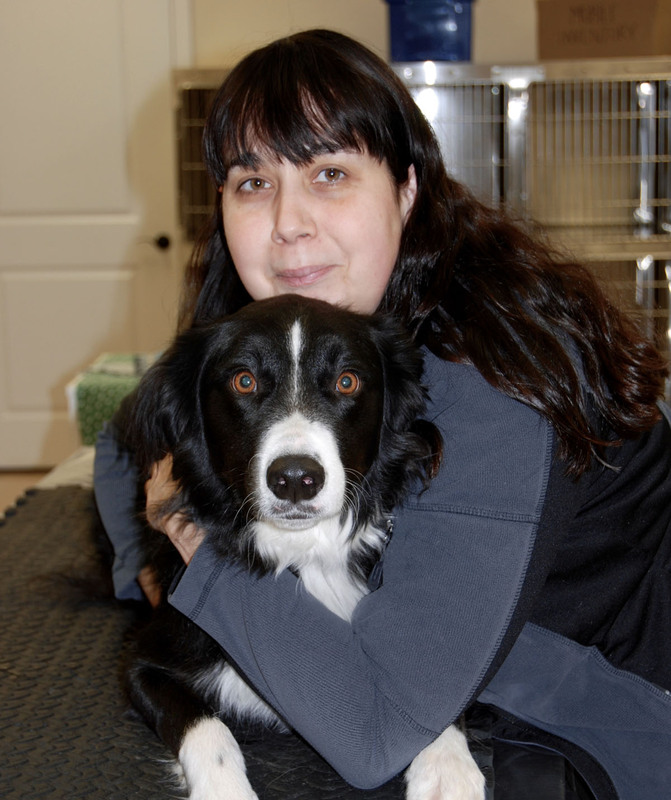 I look forward to meeting you and your furbabies when you come into the clinic. See you soon! Hi! 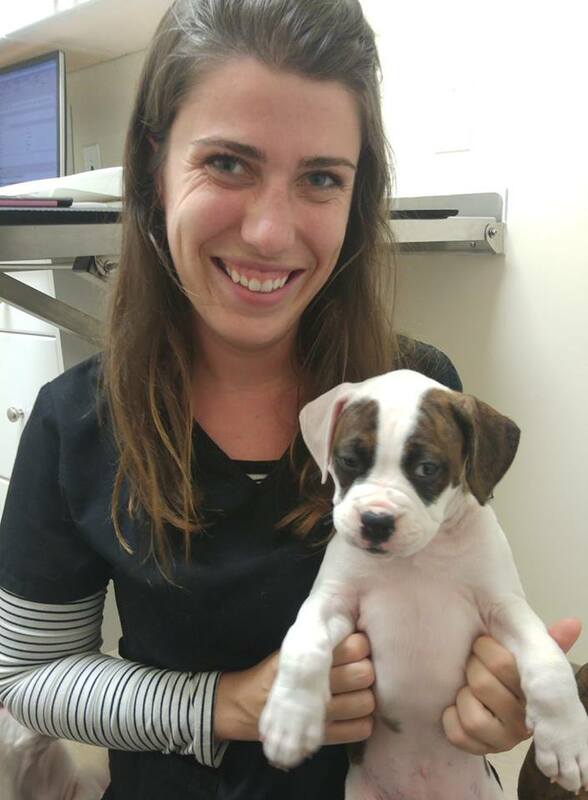 My name is Francesca and I am the newest RVT at Georgian Bay Veterinary Hospital. I graduated from Georgian College in 2015 and have worked with small animals, large animals and wildlife since then. Wildlife and travel have always been my passions and I just came back from spending a year in South Africa working with baboons and it was an amazing experience, to say the least. 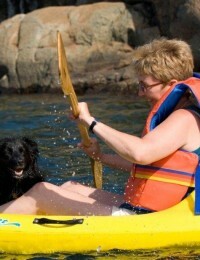 When I am not working I love to spend time outside hiking, biking and canoeing with my dogs. I look forward to getting to know you and your pets! Hi! 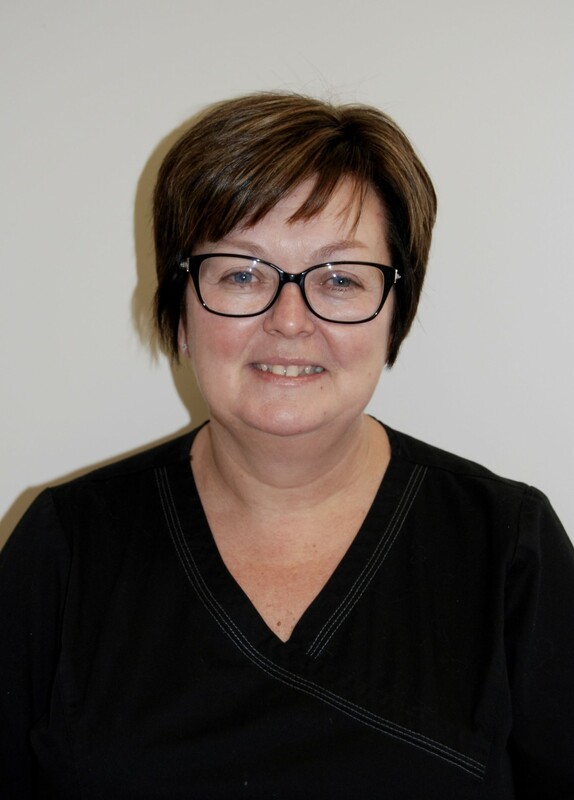 I work primarily in the office at the clinic so I particularly enjoy when we are really busy, and I get to work out front, meeting our clients and their pets. I also manage the website, our Facebook page and do the videos on the monitor in the reception area. If you have something you would like to see on any of these, please feel free to let me know. Originally, I got into accounting. I did this for a number of years and did enjoy it. Then I started to foster orphaned wildlife and knew I had to change careers! Over a number of years and numerous courses, I transitioned into a wildlife rehabilitator. This is when I met Leann (I won’t say how long ago! ), and she mentored me on the medical side of caring for them. Aside from raising my daughter, this has been the most rewarding experience of my life. It seems that I have come full circle. I get to use all of my skill set, AND be a part of Leann’s team. I still keep my hand in wildlife, by educating the public and other rehabilitators and sitting on a wildlife rehabilitation advisory committee to the Minister of Natural Resources. When I am not working I enjoy camping, gardening, reading and knitting. My name is Charlene and I am originally from Newfoundland, but have been living in Ontario for over 30 years. My family and I relocated to this area about 7 years ago, and I made Georgian Bay Veterinary Hospital home to my fur babies. Three years ago I was given the opportunity to work with this wonderful team. I have 2 Newfoundland dogs, "Diesel" and "Schriggly", who keep me on my toes. I love to bake, garden, travel and enjoy spending time with my 3 adult children when they come to visit. It is a privilege to work with such an awesome team. 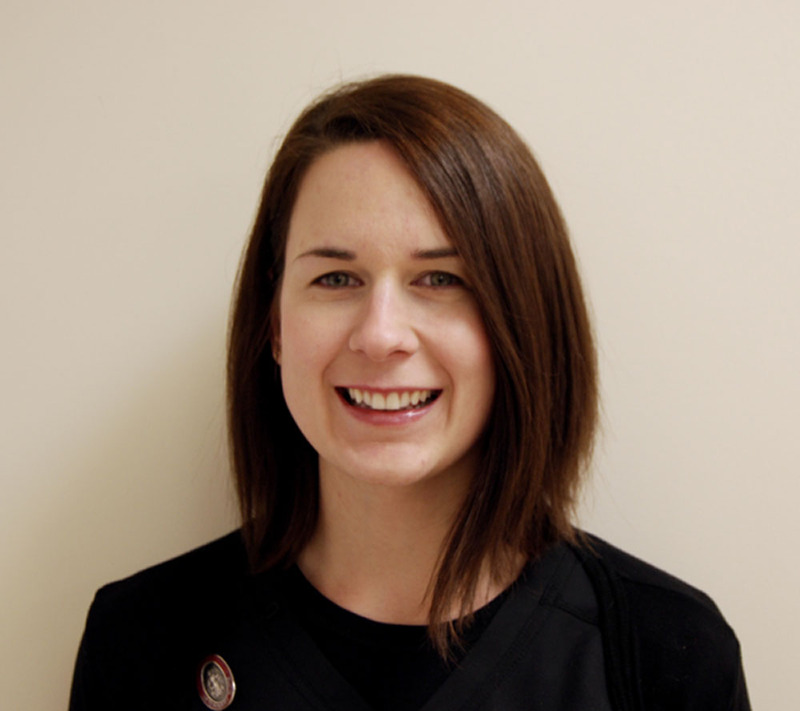 I am originally from England, where I graduated from Harper Adams University, studying Veterinary nursing science. I also gained valuable experience at a veterinary referral hospital. I moved to Canada to do some travelling and met my future husband. We moved back to his home town in Ontario in 2012. We now have a daughter Elizabeth, a son Maxwell and our fur baby Samson. In my spare time I love to travel and experience new adventures. I also enjoy Canada's winter sports, snowboarding and snow shoeing. I am the newest member of the GBVH team. I am very excited to get to know you and your furry friends as well! I graduated as an RVT from Ridgetown College in 2002. Since I was a small child I have always wanted to help animals. I consider myself lucky to be doing something I love everyday! For me, my days are about making a difference in a pet and pet owner's life. I am blessed to be in the company of my fellow GBVH team members, who are amazing! I can honestly say that we treat all of our patients like they are our family. I love spending time with family/friends and playing chuck it with Finnlee.